Have you ever wondered if there is more to life? Do you have deep questions that demand deep answers? Do you want to bring out the best in yourself and others? We invite you to apply for the Merle Orren Scholars Transformation (MOST) Program and launch yourself on a path of meaning and purpose, a path that will help you get the MOST out of life. Through this program you will transform lives – your own and others’ – through the power of Torah. The MOST program provides funds for you to attend a one or two-week Jewish study program of your choice free of charge. You will have the opportunity to take a week away to probe important questions, immerse yourself in Jewish wisdom, and return home infused with a new spirit that will enhance your life and enrich our community. Past MOST scholars describe this experience as life-changing. Specifically, each MOST scholar will attend a program of immersive Jewish study that he/she has selected from a list of a half-dozen or so programs. These programs are retreats that last about one week and take place in various locales (NY, CT, or Israel) during the summer. 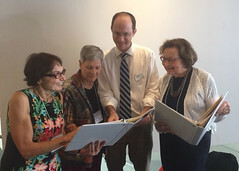 At each of them, participants study Jewish texts under the direction of gifted teachers, engage in daily prayer in egalitarian settings, and interact with Jews from around the country. 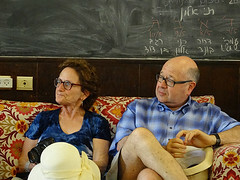 The current choice of study programs includes: Hartman (Jerusalem), Mechon Hadar (NYC), National Havurah Summer Institute (CT), Pardes (Jerusalem), and Torah Yoga (CT). If you want to attend another study program that is not one of these five, the MOST Committee will consider that program and approve it if it fulfills the purposes of the MOST program. Each year a committee composed of our rabbis and lay leaders from the synagogue will select several (up to 10) MOST scholars. Each scholar will receive an award covering tuition costs and other expenses, up to a maximum of $1800 for his/her preferred study program. Most of us would love to study our Jewish tradition more – just as we would love to exercise more and eat a healthier diet. But we often need an incentive or push to get us to do what we would love to do. The MOST program is a gentle push. Every adult member of Temple Emanuel is eligible for the MOST program and is strongly encouraged to apply. MOST awards are available for people who have different life experiences. 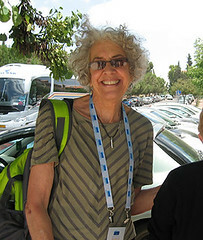 Past MOST scholars have included young adults, senior citizens, and people in between; recent converts to Judaism and people who grew up in orthodox Jewish homes; long-time members of Temple Emanuel as well as new members of the synagogue community. You will benefit enormously from MOST funds whether you have substantial or little Judaica/Hebrew background. 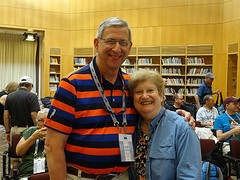 The study programs are pitched to students with a wide range of Jewish study experience. You don’t need to know Hebrew to participate actively in these programs. Each applicant’s financial situation is not a factor in the selection of MOST scholars. 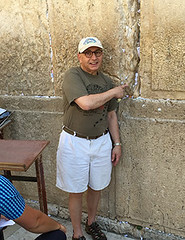 The MOST program aims at giving every adult member of Temple Emanuel the opportunity to have an immersive Jewish learning experience regardless of financial status. You may think that your chances of winning a MOST award are slim, so why bother applying? In fact, your chances are very good. The MOST committee does not select only one or two scholars. As many as 10 scholars are selected each year. Therefore, your chances of receiving an award are quite good. 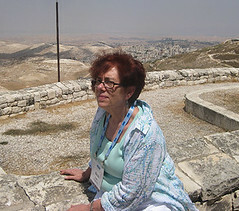 This program is named in memory of Merle Orren (z”l). Merle Orren’s life was a testament to the transformative power of learning. Always a loving, sensitive, thoughtful, and compassionate soul, Merle enriched her world and ours at Temple Emanuel through serious study of Torah and the Jewish tradition over the last 15 years of her life. She not only read Torah each month at our services, she personally embodied the very best of the Torah she studied. In her memory, her beloved husband, Gary, and their children, Meredith and Jonathan, have established the Merle Orren Scholars Transformation (MOST) Program so that others may experience the blessing of learning that Merle so deeply treasured. Donations to the Merle Orren Scholars Transformation (MOST) Program are gratefully appreciated. If you would like to make a tax-deductible donation, visit our Synagogue Gift Funds webpage or contact the synagogue office at 617-558-8100. YOU select the study program that suits you best. It is Easy to apply. It takes just a few minutes. The MOST Program will PAY YOUR WAY.